One of the exciting things about working with Red Cross mapping projects is that we endeavor to build the capacity of the community so that they can plan and lead field projects for themselves. The American Red Cross GIS team sometimes trains mappers ourselves, but we are excited to move more and more towards a model of empowering the local Red Cross and other institutions so that they understand the tools available for mapping, the process for designing fieldwork, and the workflow for cleaning and uploading data and conducting analysis. Over the spring and summer, we led trainings in Jamaica and Belize that were intended to raise the capacity of local staff and partners. Exposure and tutorials on various open source applications (websites) and design and used for apps (ODK, OMK, OsmAnd, POSM). 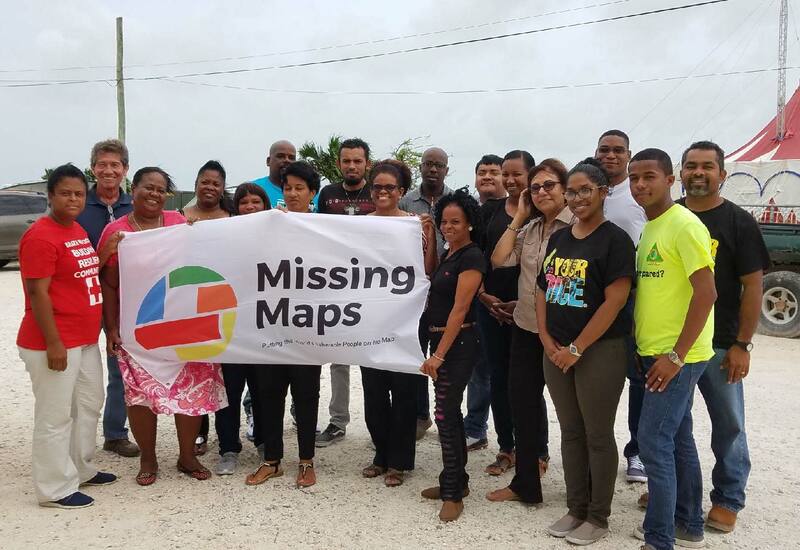 The trainings took place both in the classroom and during field mapping practice in Belize City and Gungulung. By participating in this workshop, participants improved their technical skills and also built stronger relationships with one another, which will hopefully enable productive conversations, support, and possibilities over time.